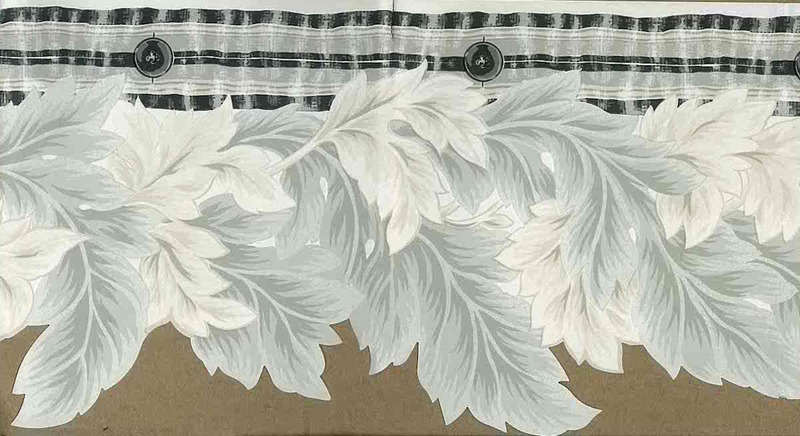 Gray leaves cutout wallpaper border with Black and Off-White accents. A very striking gray leaves border pattern with a modern flair. 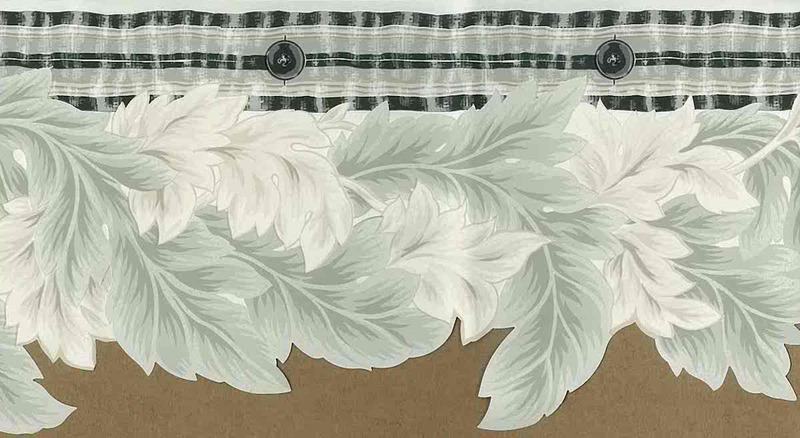 Cutout on one edge and with a Black, Off-White and Gray ribbon-like pattern on the other edge. Garden botanical feel. Usage: Ideal for a Study, Dining Room or Guest Bedroom.